LegalZoom, the US-based online legal services provider that owns one of the UK’s largest conveyancing firms, has announced a $500m (£381m) investment into its business – believed to be the largest ever in the legal world. The investment is led by global private equity firm Francisco Partners and investment business GPI Capital, both of which are based in the US and UK, and observers said it valued LegalZoom at more than $2bn. Four years ago, LegalZoom sold a large chunk of the business to leading European private equity company Permira for $200m – which at the time was believed to value it at $500m. Permira has sold some of its stake but remains the largest shareholder. LegalZoom CEO John Suh said: “Delivering valuable solutions that naturally evolve into deeper relationships with customers has resulted in a rare combination of healthy profitability and accelerating revenue growth. However, the company, which offers online services to consumers and SMEs, has been coy as to what it intends to do with the money, although it has been reported that expansion to mainland Europe and Australia is on the cards. LegalZoom claims to have more than 10 times greater brand awareness than online or offline competitors in the US. It has doubled its revenue over the past four years, during which time the proportion of income coming from subscriptions, rather than one-off purchases, has grown from 30% to 50%. 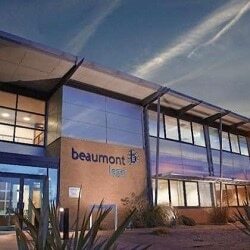 LegalZoom received an alternative business structure (ABS) licence and bought Wakefield law firm Beaumont Legal in early 2016 for £6.4m. The firm is best known for volume conveyancing, but also handles wills and probate, commercial and dispute resolution work. The ABS’s first accounts, for an extended period to 31 December 2016, recorded a £2.1m loss on a £6.6m turnover – which it put down to investment – but predicted turning this into a “sizeable” profit by this year. Its 2017 accounts have not yet been filed but it has been reported in the US that the UK operation is delivering revenues of more than £15m. LegalZoom UK also bought The Formations Company in 2016, which says that more than 300,000 companies have used its services to start their businesses. Craig Holt, the former QualitySolicitors boss who moved to LegalZoom to head its UK operation, now works in the US as its chief product officer.